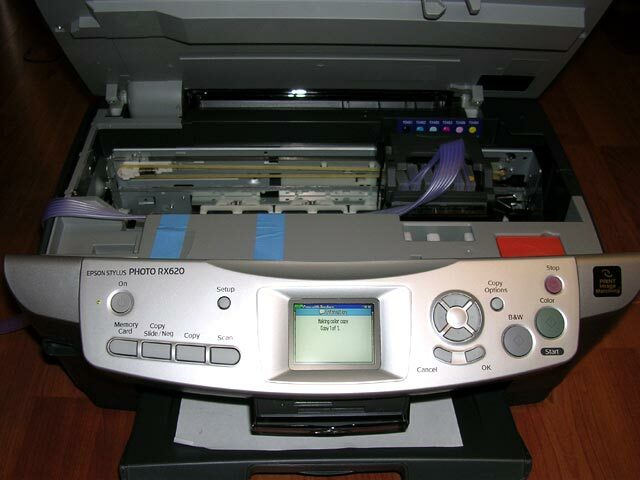 Q: Epson RX500/RX620 Tubing and Tips? 1.iINK - Working With Epson RX620 (QuickTime Format, 10.1MB), Right Click to save in your computer. 2. The following pictures show how to setup chipset and tubes for RX500 and Rx620. 3. 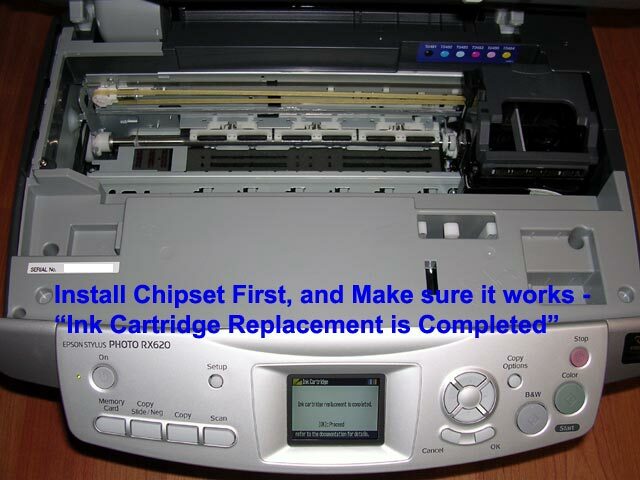 Install chipset holder and bar, make sure printer can read up chipsets. 4. 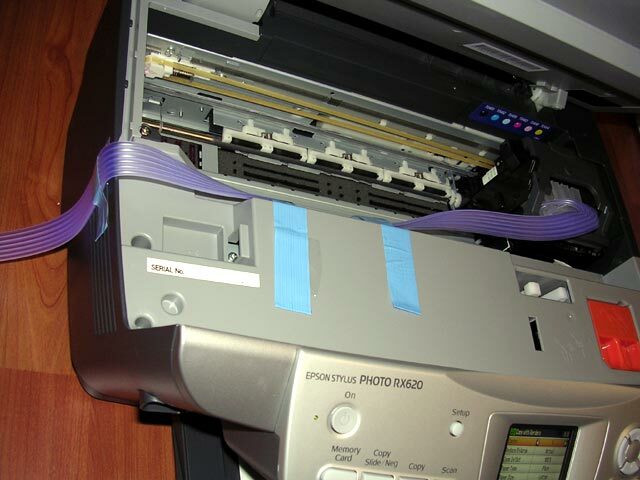 After printer can read up chipset, you can start to install dampers. 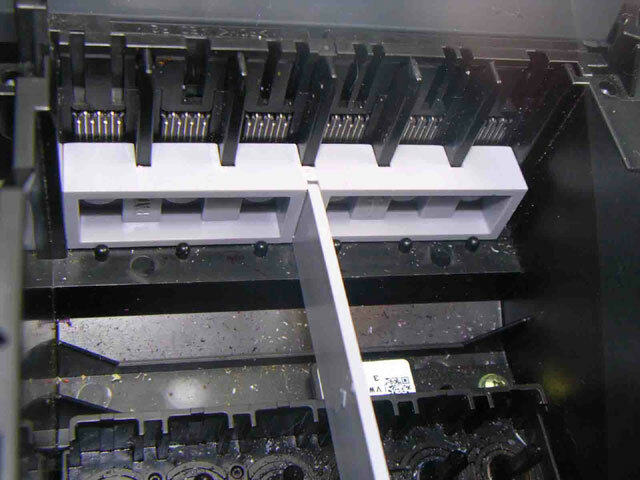 Fill damper with ink first and install them into cartridge house one by one. 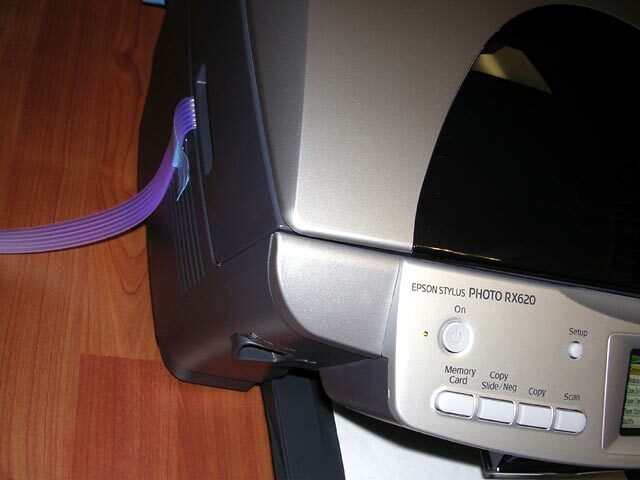 The follwing pictures also show RX620's tubing.